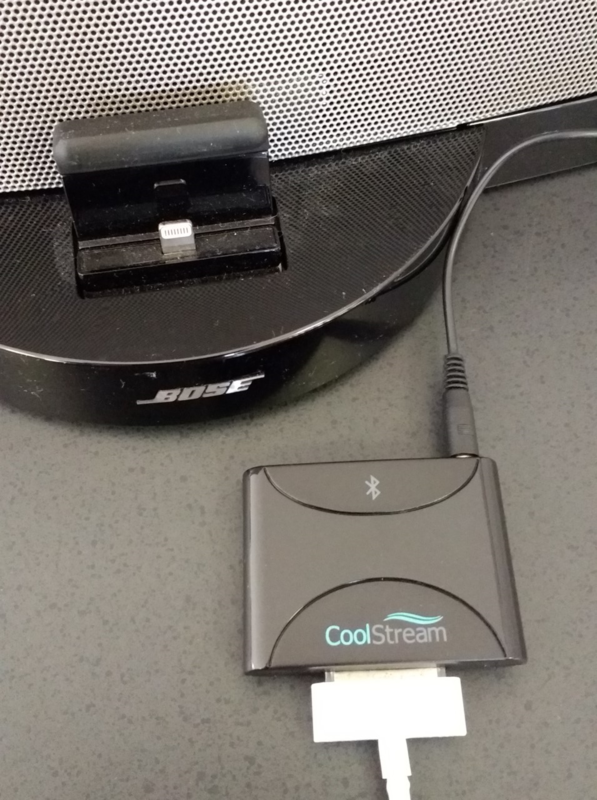 Will the CoolStream Duo work with the Bose SoundDock III? The answer is yes. 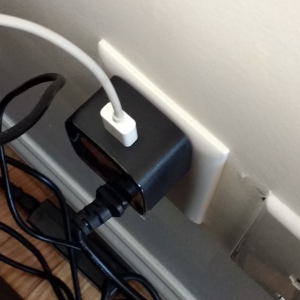 While the Bose SoundDock III comes with the lightning connector and the CoolStream Duo is designed to fit the original iPod connector you will need a workaround. 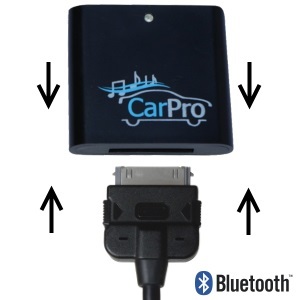 The solution is to use the rechargeable battery feature of the CoolStream Duo. You will need to connect your Duo to your Bose SoundDock III using a 3.5 mm dual tipped cable that we provide for you. With this set up you can add Bluetooth capabilities to your Bose. On the back of your Bose as shown above, there is a port for Audio in. Plug one end of the dual tipped cable in here and the other end into the top of your CoolStream Duo . With this cable you are connecting the Duo to the Bose SoundDock III. It is now time to pair your phone to the CoolStream Duo. 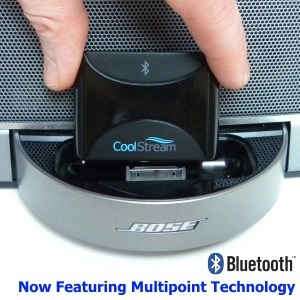 Go to setting, turn on your Bluetooth, search for devices, tap on CoolStream Duo, and play your music. 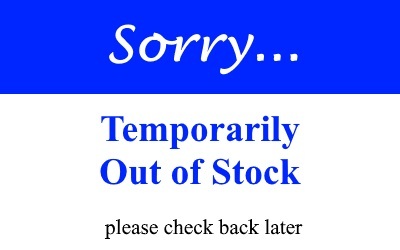 From here it now becomes a matter of how you want to charge your internal battery to maintain streaming capabilities. This can be done with any traditional apple 30-pin charging cable. By using the Duo on battery power (with the top switch positioned to the left) you can enjoy 4-5 hours of streaming before it will need to be recharged. 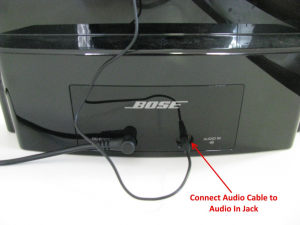 If possible, we recommend connecting your charger to a power source close to your Bose so that you can maintain consistent power for uninterrupted streaming.